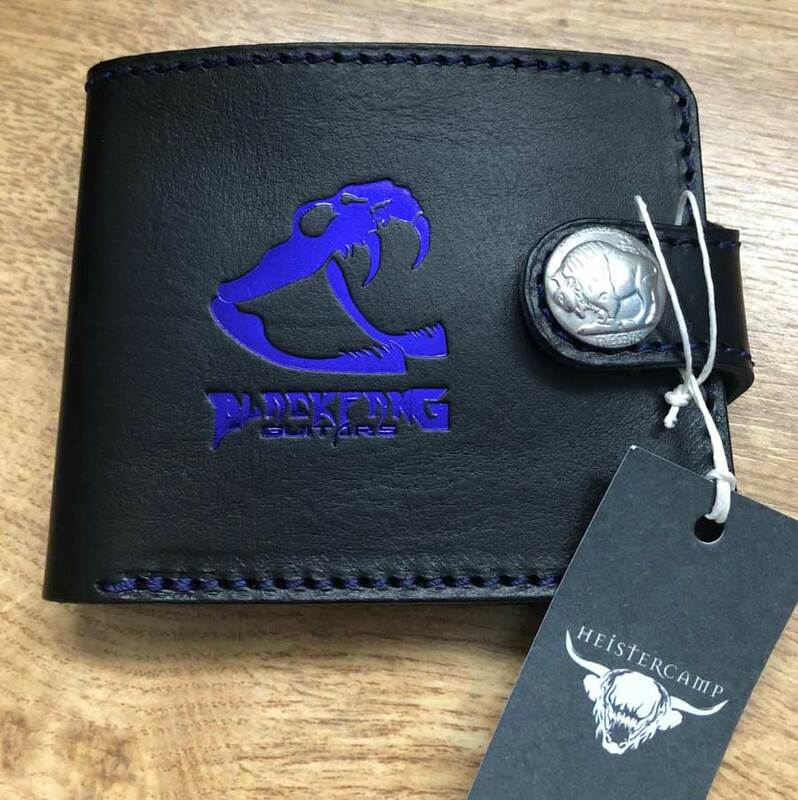 BlackFang Guitars Handmade Leather Wallet. Hand Made in UK by Heistercamp. Soft Black Leather with Purple Stitching and BlackFang Guitars Purple Foiled Logo with 6 Card Slots and Stud Fastening. Supplied in Black Gift Box.